Home » MC Services Blog » Apple adding 3D-sensor technology? 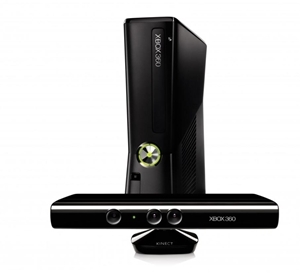 In the gaming world, few innovations have been more talked about in recent years than the Microsoft Kinect sensor for the XBox platform. It grants players the ability to control the game without a controller – users simply move their bodies and usher voice commands. While it is still going through some growing pains, more developers are using the service. The company behind the Kinect sensor is called PrimeSense and, according to an article from The Verge, Apple could be getting ready to acquire the company for $345 million. "It's obvious why Apple might be attracted to such a company," the article reads. "Primesense's 3D-scanning technology is used in more than 20 million devices worldwide, including sensors that can be embedded in smartphones and tablets." The piece goes on to speculate that this could be a move to bolster a living room technology project that has been rumored at Apple for some time—a smart television. It could also be used in future version of the iPad, iPhone and iPod. If history can be believed, consumers will not need to wait long for an answer. Apple purchased security hardware firm Authentec last year and the fingerprint technology the company was working on has already been incorporated into Apple products. As with all things Apple, there would be a business use for this kind of technology. Organizations that want to run a Mac integration would be wise to partner with an IT consulting firm that specializes in Apple products to ensure that the company is able to do so successfully.